At Sunday's Meditation in the Park, there was this uncanny stillness. Quietness had permeated our little room in the forest and the trees stood motionless around us like silent sentinels, echoing the voice of winter. Even though these trees appeared to be in a state of stillness, in the darkness of the earth, their roots have extended far beneath the earth's crust, winding their way to that dark fertile place, where life is constantly regenerating. This season of increasing cold and darkness is an excellent time to retreat and reflect upon the self. This is a time to take a long look at yourself; to go all the way inside your skin, inside your mind, inside your heart, inside your emotions, burrowing deep within the dark crevices of your soul to find that fertile place. If you are authentic with yourself and dive deep into the core of your unconscious mind, you may find this process challenging. But by taking this plunge into the unknown you may discover who you really are at the core of your being. Although most people fear the unknown, there's no real fear in this darkness. Soul reflection is demanding, and cannot be achieved at a surface level. Such is the work of the soul. Just as the heart has its own reasons, the soul has its own agenda and as we peel back the layers, new fears are unearthed and we are able to release more so we can evolve, heal and become whole. 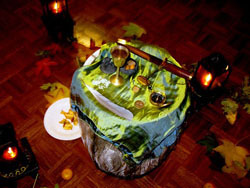 At our Full Moon Circle on Friday 13th we celebrated Samhain and tapped into the energy of the Scorpio Full Moon. The energy of the Scorpio Full Moon offered the chance to let go of all that's happened in the past giving us more power in the present moment. This was indeed a time of transformation where a rare planetary alignment of Venus, Mercury, Mars and Jupiter all added to the power of this magical circle. The Celtic New Year marked the Sacred to the Divine child, to earth and to the death of the old and birth of the new, it is the winter quarter where vegetation dies and thanks is given to Mother Earth for the abundant gifts that will re-show in the Spring. On this cold night, the ritual began and by the power of the Dragons the circle was cast. The element of each quarter was called and then we invoked the Morrigan & Cernunnos to join us between the worlds to celebrate the year unfurled. We then made an offering to the ancestors and the land spirits. Sliced apples were passed around with the words "Here is the apple of life and wisdom. Receive it and eat while remembering those who have died before you". We called to our beloved dead to pass through the gates and join us in our offering. A meditation was conducted to allow us to connect to our ancestors. After the meditation we all shared our experiences. We then thanked our ancestors, the Morrigan and Cernunnos and the elements for their guidance and the residual energy was then grounded back into the earth and forwarded to individuals for healing. The circle was closed and we all finished the evening with our usual feast. Hear us now as the yeast year slowly dies, only to be reborn again. Today the last of the Harvests is complete. May we have good health, prosperity and happiness. In cultures all over the world, the spirit of Death has been honoured at Samhain. Anubis is one god who represents death and is known as the Egyptian God of the Dead. He is also the Guardian of Sacred Esoteric Mysteries. Anubis was often depicted as either a black canine with long sharp ears, or as a man with a canine head. In ancient Egypt, dogs and jackals were often seen scavenging around the edges of the desert, near the cemeteries where the dead were buried, and it is thought that the first tombs were constructed to protect the dead from them. It is interesting to note that the black colour of Anubis is not natural to jackals or to the wild dogs of Egypt; there is a possibility that it may refer to the discoloration of a body after death and during mummification. Anubis's cult is older than that of Osiris, and can be traced to the Sumerian goddess Bau who was also dog-headed. Anubis himself, written in early heiroglyphs as 'An-pu', may be a direct continuation of Bau's father, the Sumerian god AnANUBIS - Other Names: Anpu, Inpu, Ienpw, Imeut (Lord-of-the-Place-of-Embalming). The God Anubis looked after the dead, and was in charge of the important task of mummification and is well known for his role as a psychopomp (one who ushered the souls of the dying from this world into the next). It is believed that due to his association with the process of embalming, he inherited the attributes of the jackal but it may equally have been that of a wild dog. Anubis was originally the lord of the underworld, however following the rise of the cult of Osiris he was designated to the role of gatekeeper. This role was primarily that of either holding or watching the scales with which the souls of the dead were weighted against the feather of Ma'at. If the soul was as light as the feather, Anubis led the soul to Osiris; otherwise, it was fed to Ammit, a terrifying female demon who was known as "the eater of the dead". In this role, he is sometimes identified with a god known as Wep-wawet ("opener of the ways"). 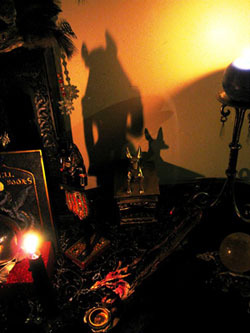 Anubis was also the keeper of poisons and medicines. He provided unguents and rare herbs to help Isis and Nephthys with the embalming of Osiris. Anubis then performed the funeral of Osiris, which would be the model for all funerals to come. As he received the mummy into the tomb, he performed the 'Opening of the Mouth' ceremony. This ceremony was performed at the funeral to restore the senses of the deceased so that they could function with all faculties in the afterlife. The ceremony was done by touching an adze (a tool for opening orifices) to the mouth of a mummy or statue of the deceased; it was believed to restore the senses in preparation for the afterlife. I have found the subject of death is sometimes avoided, even in the Pagan community. I believe this is because of our Western society's attitude. In the East dying is considered part of the living process. Many years ago I was talking to a friend who had been to Nepal on a walking holiday and she found it interesting that their guide was not afraid of the precipices over which they were travelling. Being a Buddhist he believed he would return. We've been taught by Christian thought that there is either heaven or hell, and having not been given enough information, we can't be sure if we qualify for heaven. So, our society is afraid of death, hence all the elderly folk with no quality of life. As Pagans we believe in a better place, the 'Summerlands', as in Wicca, and many other places, depending on our traditions. 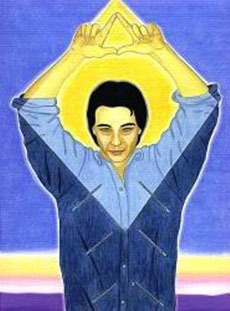 Many of us believe in reincarnation, and so, have the concept of continuation. During my training and development as a magician I've had spontaneous memories of my past lives, which have been numerous, so I do have the personal belief of reincarnation. I was also given the intuitive knowledge of when I would die, many years ago. When I would mention this to my fellow Pagans, saying that I would choose my own time of death, I would often get told, "You can't do that, as it is against the rules of the universe". Interestingly enough, in the old occult literature it is written that an adept will choose their time of death. While at a workshop in 1992 that was run by my mentor, I mentioned this fact to her and she said something really beautiful to me. "Life is a gift, Andrea, do we give someone a gift and then tell them what to do with it?" She then went on to tell me that she would be there to greet me when I arrived. In my training I was taught to build a death meditation, before I die, in which one builds a place to go to immediately after they have died. It is a stopping off point before one goes to their ultimate place. Mine is the temple of Isis as per my past life memories. One builds their own place in the astral. An example is a house from one's memory, then, fill it with the people who you know that have gone before. You can even put your deceased pets in it. Make it as real as possible, visit it often in meditation, making sure you shut the gate/door every time you come back. 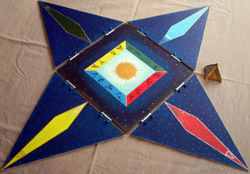 This is possible because the astral is plastic (flexible), and can be used to build though forms. When you die just go through into your place. I also have the distant memory of where I go from there. It is a place of complete harmony, as it is very difficult to be in disharmony on the inner levels. I will welcome this with open arms considering the life I've had here. Accepting that I will die relatively soon, I am now free to live each day as it comes. A bit like people, who have had a near death experiences. It puts an interesting slant on life. I have put my house in order, so to speak, with instructions for my next of kin and my friends, including a last rite ritual thanking the elements for the use of them. I have also helped very ill people to pass over by giving them 'the licence to depart' rite, as the one thing that is hardest to combat is the human instinct to survive, no matter what. For reference I recommend Dolores Ashcroft-Nowicki's 'New Book of the Dead'. This article also appears in Crone and Sage. 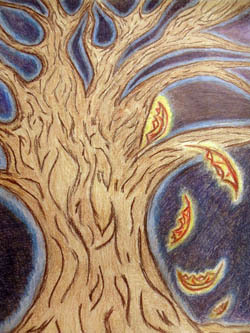 SOL's Dark Moon circle, known as the Inner Realm Of Ynys Witrin, is a group of committed seekers who are embarking upon a journey of discovery to know themselves and to experience new realities. Over the past few years we have been working through a 5 year plan of learning and initiation. We have been working with the Dragons of each Element on a Path of Initiation called a Dragon Attunement. This year we have been working with the element of Fire. The Fire Dragon is a symbol of transmutation, energy and mastery, enthusiasm, courage and vitality. Triangles represent strength and all things and also the triple nature. The downward pointing triangle is a feminine symbol; the upward pointing triangle is a phallic, masculine symbol. With our year of fire we are utilizing the upward-pointing triangle (the symbol of the element Fire) representing the yearning of the manifest to reach or return to the Divine. 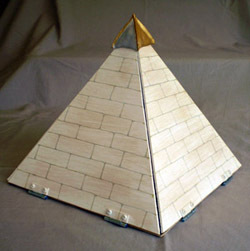 The triangle is represented in the pyramid. The square pyramid is a solid figure with a base that is a square and has four faces that are triangles meeting at a common point. 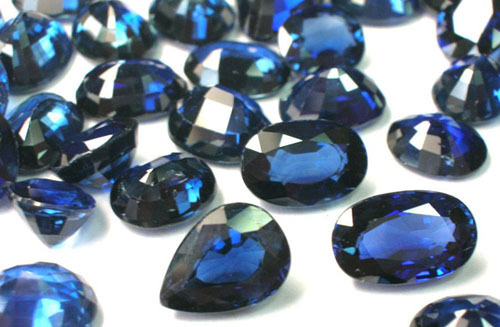 This shape symbolizes willpower, courage, passion and self-definition. In alchemy the chemical element of sulphur was often associated with fire and its alchemical symbol and its symbol is also an upward-pointing triangle. SOL's Craft master, Rayvensclaw made a special Square Pyramid for our Dark Moon Circle's Altar. As you can see each side opens up to reveal an element and a direction. The base is a square within a square. The perfect square is the most stable of astrological shapes and represents kinship, it also suggests safety in the status quo, in remaining inside the structure, hugged by the familiar confines, each corner and each side of which is marked by sameness. The square represents the family and the foundations of the organisation of our group. The Capstone is a stone that caps something off. It holds all the sides, the group together and it represents the crowning achievement; the pinnacle that we are all working towards, together as a unit on our journey of discovery. Shamanic smudging is an ancient tribal tradition which has been used to create harmony and peace. There are many different shamanic smudging ceremonies, and different tribes throughout the planet use a variety of herbs for smudging. 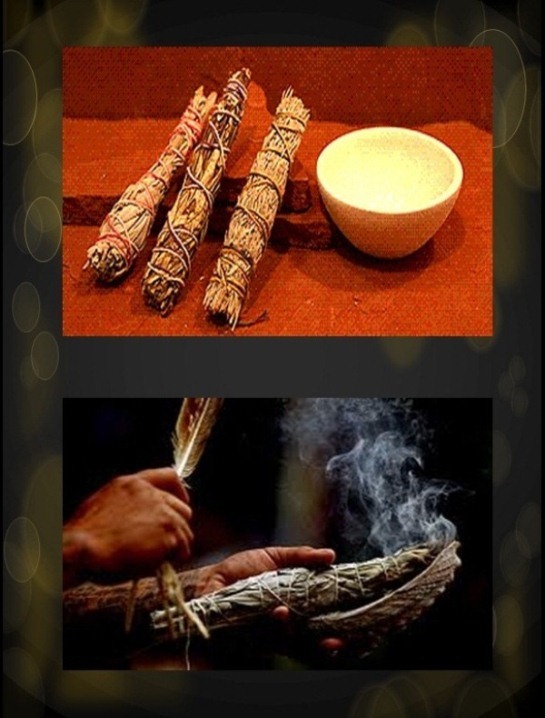 Usually shamanic smudging involves a four directions process, which sends specific kinds of smoke into the four directions to do a specific action, such as cleansing or aiding in divination. Smudging is essentially a purification rite to help cleanse all negative energies and restore harmony to your body and your environment. Smudging is the burning of a selection of herbs to purify ceremonial tools and ritual space. The vibrations that smudging creates can also cleanse and purify the subtle energies of one's aura. When cleansing a tool you just pass it through the smoke with your intent to purge all negative energies from the tool. When cleansing a space walk around the whole area with the burning herb with the intent of cleansing the area of any negative vibrations. While you are cleansing the space pay particular attention to corners where negative energy can accumulate. You can use a smudge stick or selection of herbs. Place the individual herb or mixture of herbs into a shell, or fireproof bowl or dish. When the mixture is lit a fan or feathers are often used to distribute the smoke throughout the area. One should note that particular feathers used in the smudging can bring in the qualities and medicine of the bird of origin. Herbs that can be incorporated into your special smudging mixture are: Eucalyptus, white sage, lavender, cedar, rosemary, clove, basil, lemon verbena, scented geraniums and myrtle. I am just a kid that refuses to grow up I guess, choosing to embrace a world of unlimited creativity and fantasy. 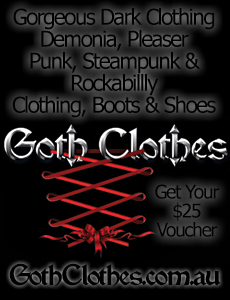 And I am here to equip you with your fantasy designs to help you manifest your internal world into your world of form. I feel very blessed to have a role which is very rare in this world - to be able to make people very special items which they are inspired by, and to give creation to their dreams. I give people a rare avenue of creative power in a world permeated by cheap mass produced form. I turned from a successful professional career in sales to undertake this role with solemn commitment. I guess my love affair with swords started like most peoples', through popular fiction. For me it was He Man as a child, and later the Conan movies, and then Braveheart. More recently I've enjoyed the Narnia, and Lord of the Rings film recreations of some of my favourite books. When I realised I could buy a fully functional sword I became engrossed in the study, and it wasn't long before I started spending long hours in the workshop customising and upgrading my pieces. However due to my disenchantment with the questionable quality of 3rd world made 'production' swords, and with my wife encouraging me to just make my own, I started making swords from scratch in 2007 and I have not looked back. (She's hardly seen me since hehe.) In truth, since embracing my craft I have had so many gifts from the universe to facilitate my journey. And so many fantastic customers who've helped me develop my craft. I've always been handy doing all my own work on my motorcycles and cars, taught by my dad and granddad through childhood. I really enjoy helping my Pagan clients create their ritual tools as well and I hand-make one-of-a-kind wands, staves, athames, knives and daggers. While I do not practice myself, I have long followed a very spiritual path. I enjoy Celtic, Classical, New Age and Instrumental music, along with a little Metal. I also spend a bit of time listening to inspirational teachings form Eckhart Tolle and others. I ride my Motocross Bike as often as I can. I enjoy a Vegetarian Lifestyle. I live on rural land not far from Perth, Western Australia with my beautiful wife, Bec and our fur family. Bec is an Holistic Veterinarian here in Perth. You can check out her natural petcare website here: Cherished Creatures. It's full of great resources and products for supporting your pet naturally. To help build a picture of me: I am a fellow working from my home workshop, I'm my own boss :). Rather than relying too heavily on machines I do a lot of work by hand and pay very close attention to detail to ensure my pieces are crafted with excellence. Slow and steady making sure the work is done to my best standard. Hours of drawfiling, and hand sanding with a cork block go into each piece. Spray from my angle grinder cements the walls of my grinding & forging shed though I try to keep it pretty orderly. Theres many blunted files and torn up sheets of sandpaper kicking around the floor. I am blessed to have access to my wife's granddads equipment in our 'Machinery Shed'. He is a retired gunsmith and has some cool tools he lets me use. A very sophisticated though very old Milling Machine and Lathe being my favorites. The swords I make are REAL swords. Fully functional. Built for durability, and to perform as a live sword for performance cutting. They are not toys, wallhangers, or stage props. They are built to perform to their purpose, with excellent heat treatment qualities and excellent blade geometries. All blade steel stock used is brand new 9260 spring steel cut by the length and annealed. All swords are hand sculpted individual pieces - earning all of my attention. Being handmade they rely on a steady hand, a keen eye, and a feel for how the metal is taking shape. As such they have a smoother, more organic look and feel about them, compared to a machine finished piece. I do spend a long time fussing over trying to get little details just right. I think I am my toughest critic. The pieces are not computer cut, but made with painstaking attention - by a loving human hand. Each piece has endured many hours at my hands, being crafted into it's final form. Through these hours at my hands I feel the result is true meeting of imagination and the form that lives within the wood and steel. 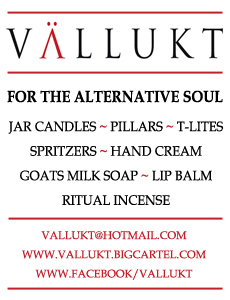 Each piece is a true one off and unlike anything else. Blades won't come with a mirror polish, but rather a satin finish (approx 400 grit). Historical swords were not mirror finished, and mainly lower end third world forges generally offer their swords in a mirror finish, to suit the wall hanger market. The satin finish is beneficial to maintenance through the sword's active life. All blades are stock removed via grinders and files, and finally hand sanded and custom fitted with their hilt components. Pommels and guards are (unless stated) sculpted by hand from solid blocks of mild steel, not cast. Grips will have a European Beech core if they are leather covered. Though I love featuring exotic woods from Australia and around the world too. All swords have broad full tangs with radiussed shoulders for strength; built to be a fully useable tool. The temper of the tang and shoulder is drawn back with a torch to low 40s hardness, to enhance durability, and becoming softer yet back to the pommel mounting. I control the heat treatment in a purpose built electric kiln, which I made myself to suit my needs. This provides uniform heat to the whole blade, and precise digital readings and accurate control of the temperature. Heat treatment of blades includes multiple normalisation cycles, quenching in oil to harden, and multiple tempering cycles giving a resilient edge hardness of approximately 52-53Rc. Theres a little vid below showing my testing of some sample pieces of steel, and destruction of a thin knife blade I forged. See more Fable Blades videos. I love this book! Well some of it anyway. My favourite part of the book is the introduction (Spelling it Out), as she talks about her own history as a Witch, her views on what Wicca is and how she lives it. I could relate to what brought her to this Path, the discrepancy between a Catholic education and trying to find something else, deeper within your own soul, the way it changed her life, the curiosity. I found the chapters Spell boundaries: Casting Circles and making your own sacred space, Wheel of the Year: the Eight Sabbats and Having your Wicca'd Way! Tips for easier and more effective Witchcraft, to be the most helpful and informative in the book. Ly Warren and her books have obviously been an important part of Fiona Horne's Witchy life so the interview is quite interesting to read as it is written with passion and love. With the other chapters, well, I got really bored with the chapter on re-incarnation; first she talks about two personal experiences with regression and reincarnation, only to say that she does not believe in them. And then there is the chapter on hexing, which really I wish was not part of the book. But then again, Witch is a very personal book and I do believe is very brave to be so honest about your views regarding the topics covered in the book. Overall I enjoyed reading the book (especially as I said the first part), if felt like I could hear Fiona Horne's voice through it, or like I could take a peak into her history and view of the world, and for that I feel thankful and honoured. Winter approaches, but if we go by what the weather has been like in the last few weeks I believe winter is already here! Humans and nature alike tend to hibernate. Nature slows down, goes within and rests. Now is the time to contemplate life, the past, present and future. Winter is a time of reflection. Quinoa (pronounced 'keen-wa' or 'kin-wah') is native to the upper Andes of Bolivia, Peru, and Ecuador. The botanical name is Chenopodium quinoa and it is commonly known as Goosefoot. Like other members of the Amaranthaceae (Amaranth) family the seeds are harvested as a pseudocereal - true cereals being grasses. 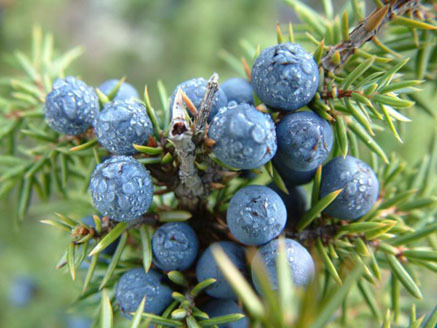 It grows on free-draining soil in high altitudes of up to 4000 metres. 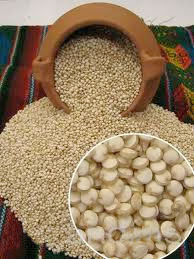 Quinoa has been cultivated for at least 6000 years in the Andes where it was sacred to the Incas. Other members of the family have been cultivated commercially in North America and Europe and can be cultivated in Australia (although some are considered weeds). Quinoa means "mother grain" in the Inca language. This crop was a staple food of the Inca people and remains an important food crop for their descendants, the Quechua and Aymara peoples who live in rural regions. It was forbidden by the Spanish conquistadors due to the grain being sacred and used in Rituals and Ceremonies. The most surprising feature of quinoa is its high protein content of 12-18% which is higher than meat. The proteins quinoa produces are a well-balanced mix that is superior to any other grain. It's also a good source of calcium, phosphorus, magnesium and iron. It has a low glycaemic index (GI), is gluten free and high in dietary fibre. With all of these great features it is unsurprising that the Incas called it the 'mother of all grain' and that NASA is considering it as a potential crop for manned space flights in the future. Store in an airtight container in a dark, cool place for several months, or in the fridge for longer life. To cook, rinse quinoa, then bring one part quinoa & two parts water (or stock for more flavour) to the boil. Simmer, covered for 15 mins. When cooked, the quinoa looks pearly with a 'saturn ring'. Remove from heat & stand for 5 minutes before fluffing gently with a fork. For a nuttier taste, roast the dry quinoa in a dry frying pan over lower heat for about 5 minutes, stirring regularly, before cooking as above. Quinoa will approximately triple in size when cooked. You can use quinoa as a substitute for grains like cous cous. "Hail Sophia" is back on YouTube! Back in 2004 Janine had an empowering and life changing experience with the Goddess Sophia whose unconditional love and sense of humanity inspired Janine to compose a song, called "Hail Sophia". It has been quite a while since "Hail Sophia" has been on YouTube, but finally it is back with a revised and improved version of the musical arrangement and a brand new video clip created by Jenwytch to go with it. Katie Anderson is a poet and artist living in the Saint Louis area. Her work has appeared in The Faerie Nation Magazine, Litmag, and the Global Goddess Oracle. She currently holds a BA in Psychology and an MA in History from the University of Missouri - Saint Louis. She is deeply passionate about the study of mythology and the afterlife. She experiments with free verse, epic and narrative poetry. as apocalypse emerges once more. to this late harvest rite. that burns long and bright. the shallowing of the veil draws near. Katie Anderson is a self taught illustrator. She attended courses on illustration, basic design and sculpture at Central Florida Community College and the University of Missouri - Saint Louis. Her illustrations address themes of fantasy, science fiction, and mythology. Katie Anderson attended the Florida Community College Press Association conference in 2000, where she was awarded third place for cover design. 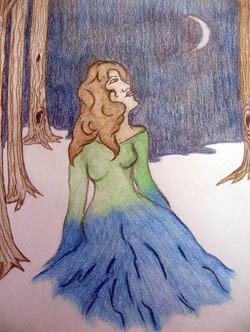 She was also awarded second place at CFCC's Art on Campus competition in 2002. While attending the University of Missouri, she gained two years of experience in graphic design for web and print, assisted with over 30 exhibition installations, and curated three exhibits at Gallery 210. She also dabbles in jewelry design and digital art. She is currently living in Saint Louis, Missouri. See more of Katie's art on her website at Studio Rosalva: Original creations by Katie Anderson. Her poetry website is Nox Canto: An Anthology of Poetry by Katie Anderson. Cream together butter and sugar until fluffy and light. Add grated lemon peel, salt, flour, grated almonds, and 1 tsp. vanilla; mix thoroughly. Place dough in bowl. Cover and chill thoroughly. 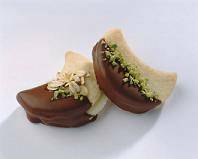 When the dough is well chilled; or the next day, roll out dough to 1/8" thickness and cut with moon/crescent cookie cutter. Place 1/2" apart on un-greased baking sheet. Bake in preheated 180° oven for 8-10 minutes. The season has changed and it is a good time for some serious reflection. The time has come for you to fully open your eyes and see what is really in front of you. You have been so absorbed with your own problems that you have lost true perspective of the situation. The Six of Swords indicates that you should start striving to express realisations and truths which come from deep within yourself. The old way of life is now being left behind and situations may not have worked out the way you planned so you need to investigate other, more liberating, possibilities. This card is reminding you to look within yourself, and understand what your true aims and goals are; for once you have to stop deluding yourself. You have the freedom to move forward, just remember to leave your unwanted baggage where it belongs in the past.